I can still remember the first time I stepped into the Seminar Room for an RP3 session, with its bright white lights and neat rows of desks. I remember feeling extremely nervous. I wasn’t sure what to expect. I wasn’t even sure I was in the right room despite reading and re-reading the reminder email at least ten times. However, the past year spent in the (correct) seminar room opened my eyes to a host of local issues and made being in RP3 a truly eye-opening experience. The Raffles Public Policy Programme (or RP3, for short) is one of the many exciting enrichment programmes offered in Year 5. Sessions involve discussions about hot-button issues in Singapore, whilst delving deeper into the rationale behind policies, as well as the contributing factors leading to such decisions. Guest speakers (I had the pleasure of listening to Dr Cherian George and Dr Teo You Yenn) will be invited to give talks, and when the year-end holidays roll round, all RP3-ers will be given the privilege of interning at a ministry of their choice. The discussions I had the opportunity to engage in mainly revolved around inequality and meritocracy, with a side of LGBT rights, the disabled, and the necessity of tuition. We were usually treated to a brief overview of the day’s topic before gathering into groups for smaller-scale discussions. Following that, each group had to present their opinions. Everyone in RP3 is well-read, so I learnt a great deal from those I had the pleasure of interacting with. We explored the characteristics of various policies in Singapore in-depth, along with their merits and areas for improvement. There are also quite a number of readings to do before each weekly session. Usually, these readings comprise local newspaper articles, the occasional paper and opinion pieces on similar phenomena or policies overseas (usually the US and the UK). To me, the internship was the most memorable part of being in RP3. From my five-week experience, I gathered that policy work involves a daily barrage of emails, a substantial amount of miscellaneous work, plenty of meetings and to a certain extent, unpredictability. It was a regular desk job, but that didn’t translate to it being ‘boring’ or ‘dull’. Certain tasks involved critical thinking and evaluation skills, as well as a great deal of professionalism. Writing and IT skills were also important (I recommend familiarising yourself with Microsoft Excel). You may or may not utilise the knowledge gained during regular RP3 discussions, but the skills picked up from delving into policies do help in the work given. The discussion topics will also be brought up over lunch conversations with your colleagues. However, at the end of the day, what I remember and appreciate most was the people that I had the fortune of working with. They entrusted me with interesting projects and went out of their way to make sure I was welcome in the office. I’m sure my fellow RP3-ers can attest to that too. Also, other perks of having a year-end internship include year-end parties and the occasional lunch treat. (Just as a side-note, you may be left to your own devices at times, since it is the end of the year and people take leave). Overall, I can’t say that my RP3 journey was filled with ‘ups-and-downs’, but it was a very fruitful and enriching experience for which I am truly grateful. 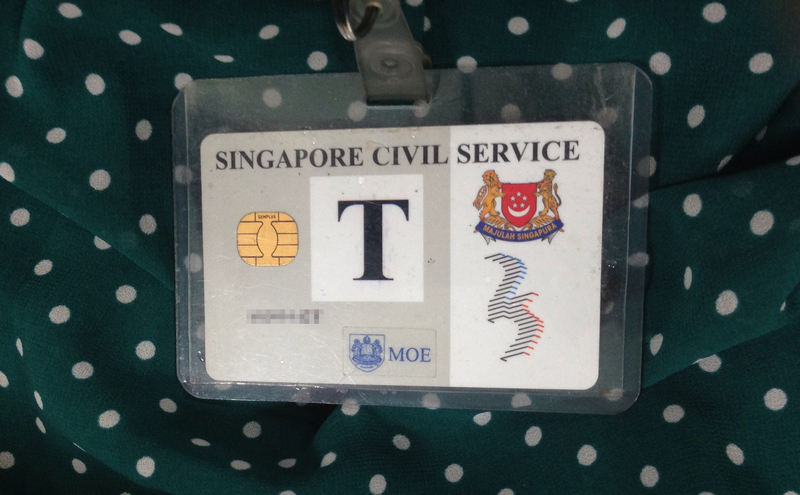 I learnt how to navigate the office environment, and am now more aware of the public policy scene in Singapore. It is a timely programme too, given that we have to decide what paths we want to embark on in our (future) working years. If you are interested in policy-making, or simply want to find out if the public sector is for you, do consider joining RP3. It’ll be an experience you (hopefully) won’t forget!